These guys don’t seem to mind the bitter cold – they look so happy! 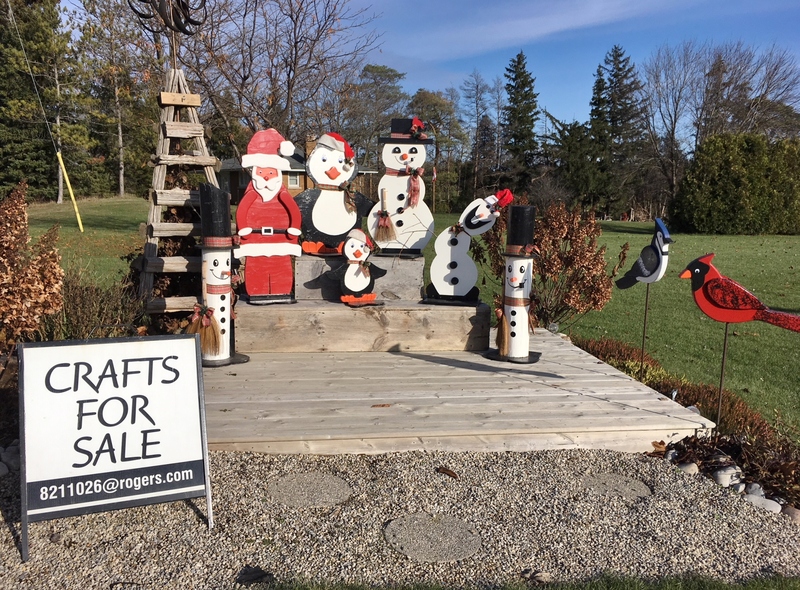 These amazing handmade crafts and lots more are available for sale at 7405 Wellington County Road 34, Aberfoyle – right across from the Puslinch Township office. If you are interested in adding to your outdoor holiday décor drop by when you see the “OPEN” sign or contact Robin or Larry at 519-821-1026 or by email at [email protected] to place an order.